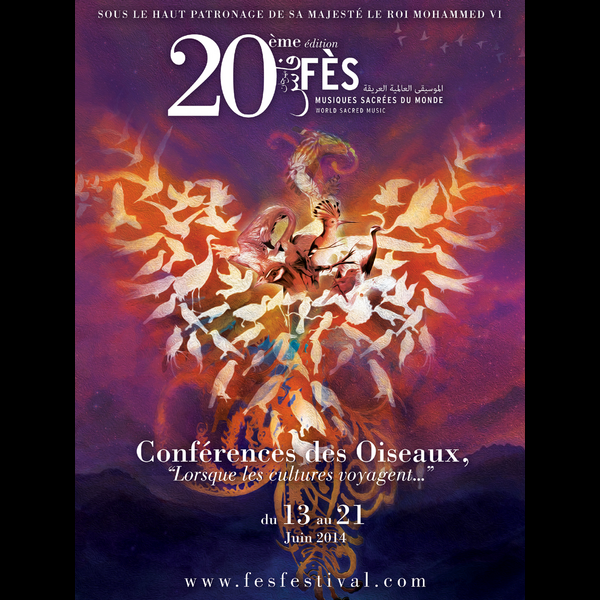 Opening show of the 20th edition of the "Fes World Sacred Music Festival". A production by Fondation Esprit de Fès. 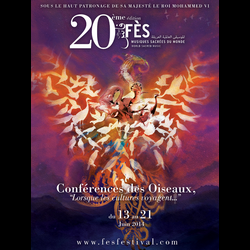 « In a mystical tale dating from the 13th century, Farid Ud-Din Attar relates how the hoopoe decided one day to gather all the birds and invite them to go on a long journey at the end of which they would meet the Simorgh, the king of birds. This adventure leads them across seven valleys, seven spiritual sites in which they each time make various pleas: the parrot, the peacock, the nightingale, the eagle... Should they carry on with this perilous journey or content themselves with what is acknowledged and already nourishes their desires and aspirations? Should one give up on what one possesses, however modest it might be, in order to seek a major spiritual sense that arouses doubts and uncertainty? Bab Al Makina, avenue Abou Bakr Ibn Al-Arabi, 30200 Fes - MOROCCO.